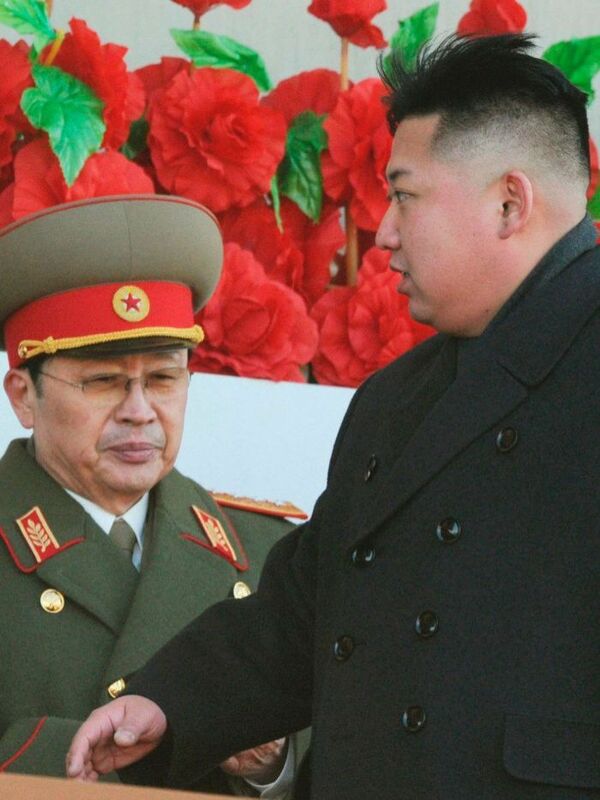 JNN 04 Feb 2014 Pyang Yong : North Korea has reportedly put to death all direct relatives of the uncle of leader Kim Jong-Un, Jang Song-thaek, who was executed last month for “attempting to overthrow the state”. Children were among those killed on Mr Kim’s instructions, as were North Korea’s ambassadors to Cuba and Malaysia, the South Korean news agency Yonhap reported, citing multiple sources. “Extensive executions have been carried out for relatives of Jang Song-thaek,” one source told Yonhap on condition of anonymity. The relatives, who were reportedly recalled to Pyongyang in early December and executed, include Jang’s sister Jang Kye-sun, her husband Jon Yong-jin, the ambassador to Cuba, and the ambassador to Malaysia Jang Yong-chol, who is a nephew of Jang, as well as his two sons. The sons, daughters and even grandchildren of Jang’s two brothers were also executed, Yonhap reported, adding that it was unclear exactly when they were put to death. “Some relatives were shot to death by pistol in front of other people if they resisted while being dragged out of their apartment homes,” the news agency said, citing a source. Relatives by marriage, including the ambassador to Cuba’s wife, were spared and sent to remote villages along with their maiden families, a source reportedly said. Jang, 67, was the vice-chairman of the North’s top military body and previously considered the second most powerful man in the North, having acted as regent to the young Mr Kim after his father Kim Jong-il died. The ruling Workers’ Party said that he was relieved of all posts and titles for allegedly building a power base to challenge the leadership of the communist state. The party “eliminated Jang and purged his group, unable to remain an onlooker to its acts any longer”, according to state media. A special military tribunal that examined Jang’s “crimes” described him as “despicable human scum who was worse than a dog who perpetrated cursed acts of treachery”. Jang’s execution prompted South Korea to put its military on high alert and unsettled the United States, with secretary of state John Kerry calling the execution “an ominous sign” that showed the world how “ruthless and reckless” Mr Kim is. This entry was posted in Asia Pacific and tagged Cuba, Jang Kye-sun, Jang Song-thaek, Kim Jong-Un, North Korea, Yonhap. Bookmark the permalink.